How does one orchestrate a 100th anniversary celebration for a cultural institution like the Los Angeles Philharmonic? With a 2018/2019 season filled with an all-star lineup of conductors and soloists performing classical music’s greatest works by Beethoven, Bach and Brahms (naturally), plus a nine-day Stravinsky festival. By kicking things off by closing down L.A. streets from the Walt Disney Concert Hall to the Hollywood Bowl for Celebrate L.A., a daylong festival of street concerts culminating with a free concert by Katy Perry, rock-star conductor Gustavo Dudamel, Youth Orchestra Los Angeles and the L.A. Phil. By exploring the virtuosity of the L.A. Phil musicians and its own charismatic composers, Conductor Laureate Esa-Pekka Salonen and Andrew Norman. And with ambitious nonclassical programming including cutting-edge collaborations with pop and jazz artists including Moby and Herbie Hancock. With a deep dive into 50 newly commissioned works by John Adams, Philip Glass, Steve Reich and young musical pioneers. With an opera revival, a global tour and in/SIGHT concerts that expand the horizons of music. And with a cutting-edge 3D light show projected onto the steel walls of the iconic Disney Concert Hall. To hell with sheet cakes and speeches. The L.A. Phil is the music of our city, and it’s as intent on making history this year as it is on celebrating how it got here. The masterful two-volume book retrospective Past/Forward combed the L.A. Phil’s archives to tell its forgotten stories. The Los Angeles Philharmonic Orchestra was born in 1919, the year President Theodore Roosevelt died and Prohibition was introduced. Los Angeles was home to just 500,000 people. An eccentric violin-playing son of a copper baron decided to fund a full-size ensemble to rival the city’s “deficient” Los Angeles Symphony, which was 20 years old but lacking both in skill and double-reed instrumentalists. 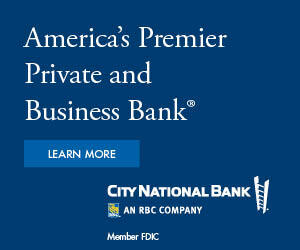 “It should be a first-class organization,” declared founder William Andrews Clark Jr., who initially paid $100,000 to hire full-time players. “The programs [are]to be of the highest and most varied type, with soloists, and the prices of admission modest.” He hoped to rival respected orchestras in New York, Boston, Chicago and Philadelphia. But would there be an audience for two orchestras in the same city? The orchestra soon moved to the 2,700-seat Clune Auditorium on Pershing Square. Violinist Sven Reher noted that the venue was in shambles, “but the sound in that auditorium! Magnificent!” Clark was accused of stealing the Clune from the L.A. Symphony Orchestra, which folded later that same year, making the argument a moot point. The venue was renamed Philharmonic Auditorium and housed the L.A. Phil for 44 years. For their first concert tour, the entire orchestra and staff traveled and slept in a rented train. “In a small town in Colorado there were very few people in the auditorium,” principal violinist Philip Kahgan recalled. Clark canceled the concert, gave the small audience their money back and shouted to the musicians, “Fellows, let’s go on to Colorado Springs and take a bath.” The Phil embarked on just one more train tour after that and didn’t tour again until 1956. Meanwhile, interesting things were starting to happen at home. A group of musical-arts patrons found a site for an outdoor theater in the Hollywood Hills on private property known as Daisy Dell. It had outstanding natural acoustics, as evidenced by a contralto singer who was pleased with the way her voiced carried across the natural “bowl” landscape. They dragged a grand piano and a kettle drum into the hills for further tests and held a few recitals. Then on Easter Sunday 1921, the L.A. Phil made its debut on a rickety platform at what was by then called the Hollywood Bowl. The sunrise service was attended by 800 guests on wooden benches, and at least 2,000 more circled the orchestra on picnic blankets. Rothwell hated conducting outdoors, so he agreed to the orchestra’s return to the Hollywood Bowl in 1922 for summer concerts called Symphonies Under the Stars, but hired his friend Alfred Hertz, conductor of the San Francisco Symphony, to take his place. Hertz became known as the “Father of the Hollywood Bowl,” the place that democratized music by selling tickets for as little as 25 cents. Soon, the world’s leading conductors and soloists were clamoring to perform there. Proper bench seats were installed, and four acoustic “shell” stages were built over four years. The second and third were designed by Frank Lloyd Wright’s architect son Lloyd Wright. The 1929 version lasted until 2003. Standout recordings include Carlo Maria Giulini’s Falstaff, Esa-Pekka Salonen’s recording of Arvo Pärt’s commissioned Symphony No. 4 Los Angeles and Gustavo Dudamel conducting John Adams’ The Gospel According to the Other Mary. Most of the orchestra members also played for movie soundtracks. “Most of the time they were fairly idiotic films, but the orchestral playing was incredible,” says André Previn, who served as music director from 1985 to 1989. The orchestra started experimenting with concert programming under Ernest Fleischmann’s mandate to “break down some of the barriers between classical music and rock.” Mehta’s star power led to unique collaborations with pop artists such as Joni Mitchell and Frank Zappa. They introduced the idea of a 12-hour marathon concert for Beethoven’s 200th birthday where listeners could come and go as they pleased for $1. Thousands of UCLA students sang the “Hallelujah” chorus with the orchestra at its Peace Concert to honor the tragic deaths of anti-war protesters at Kent State. The now famous Star Wars concerts—with lasers, smoke and costumed characters—started as a children’s matinee to fill the time when a Japan tour fell through. The Los Angeles Philharmonic’s New Music Group and Green Umbrella concert series began in the ’80s to spotlight the work of trailblazing living composers such as Pierre Boulez, John Cage and Peter Sellars. 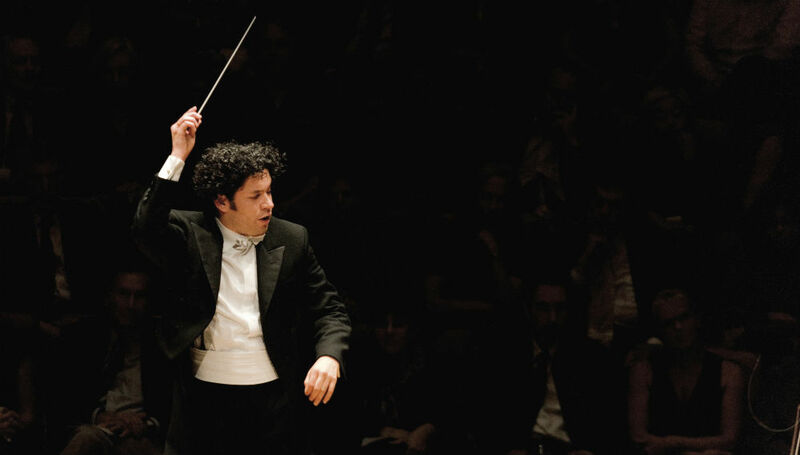 The 2009 appointment of Gustavo Dudamel as music and artistic director received a Beatlemania-level reaction. The young Venezuelan conductor is so dynamic and so devoted to music education for underserved youth that he has created a child army of new classical-music lovers. Founded by the L.A. Phil, Youth Orchestra Los Angeles gives free orchestra instruction to more than 1,200 students. 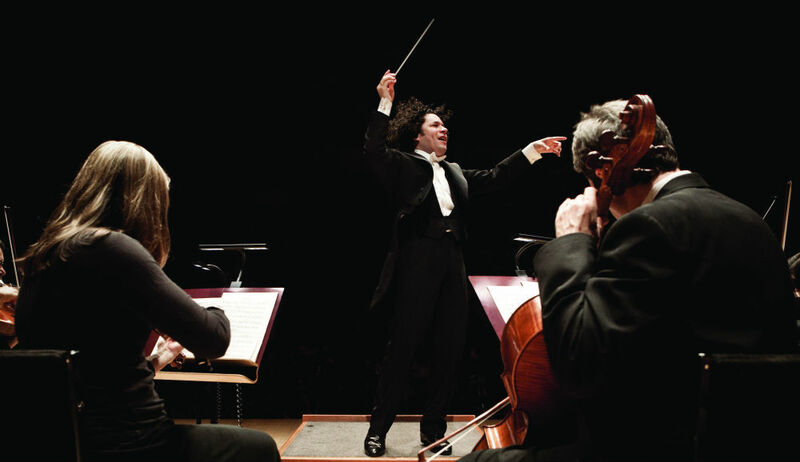 “I learned firsthand that music has the power to change people’s lives,” Dudamel says. “Now the L.A. Phil is doing just that through YOLA.” Together, they hope to double the number of students by establishing a permanent home for the program: a $14.5 million project in Inglewood also designed by Gehry. “I designed the [YOLA] Center to be a world-class instrument for the community,” says the architect, “and I can’t wait to see how they use it.” Construction will begin before the 2019 centennial celebration ends.